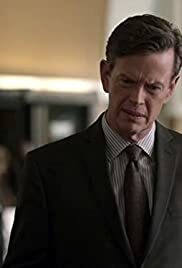 Abbott's old colleague from the DEA asks for help to find out who got one of his agents killed, but he then tries to blackmail Abbott so that he can take all of the credit. Teresa Lisbon: Any guesses about your present, or have you given up? Patrick Jane: Does it weigh more or less than three and a half pounds? Teresa Lisbon: Why three and a half pounds? Patrick Jane: Is it made of kryptonite? Patrick Jane: Uh, is it something that I would wear on a cold winter's day?